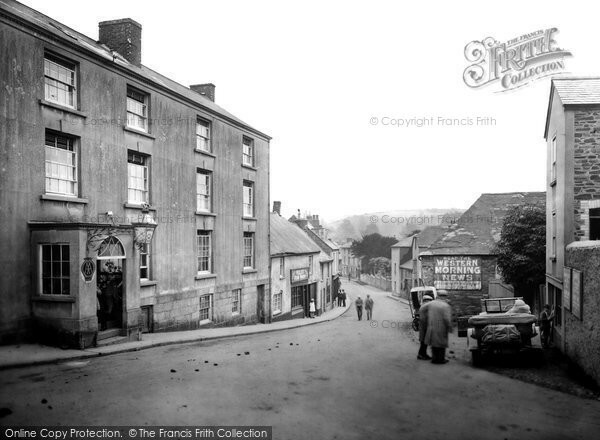 Clean water from a tap is something we all take for granted, but it is just 123 years ago that the inhabitants of Lostwithiel were awarded such a necessity. Previously water was collected from various wells, water shutes, leats or from the river Fowey. There were many infantile deaths attributed to dirty water, as drainage from fields where cattle grazed found its way into the water collected from some shutes. Attempts were made to establish a reliably clean water supply for the town, but all were unsuccessful. The residents of St. Winnow parish were already receiving tap water. In 1887 the Corporation tried to buy the town mill at the bottom of Tanhouse Road, but the sale fell through. Eventually Lord Robartes of Lanhydrock offered access to springs on his estate at Trebyan. Permission was obtained from the Duchy of Cornwall to pass over their land, and a 99 years lease was offered at a nominal rent of 10s (50p) per year. A scheme was devised to collect 40,000 gallons from three springs into one reservoir 200 feet above the highest point in town at St. George's Park. The cost to the Corporation was £2,500 on a 60 years lease. This work was carried out and the water was conveyed through a four-inch main by a natural flow, to enter the town at the corner of the old Royal Talbot Hotel in North Street. By summer 1895 many houses had been connected to the mains supply, so the grand opening was arranged for Thursday 22nd August. A public holiday was granted and the day started with Beating the Bounds. At 1.30pm a luncheon was held in the Royal Talbot Hotel for Lord and Lady Robartes, the Mayor and Corporation and many residents. Afterwards the Town Band led the Mayor, Corporation and his guests from the Grammar School through the decorated street to the Parade where the Opening Ceremony was performed. Local rates and donations had funded the purchase of a five foot high Doulton Ware fountain, erected in the Parade Garden, which was switched on by Lady Robartes. Sports then took place, followed by afternoon tea for up to 1,200 people. Later in the day cannons were fired from surrounding hills, followed by the ringing of the church bells. Photo credit "With the British Army in Flanders & France "
By the middle of the twentieth century the ornate Doulton Ware fountain was no longer in place. After WW11, the Royal British Legion made the area a Garden of Remembrance and the circular pond was stocked with goldfish, which appealed to all us children and our parents. 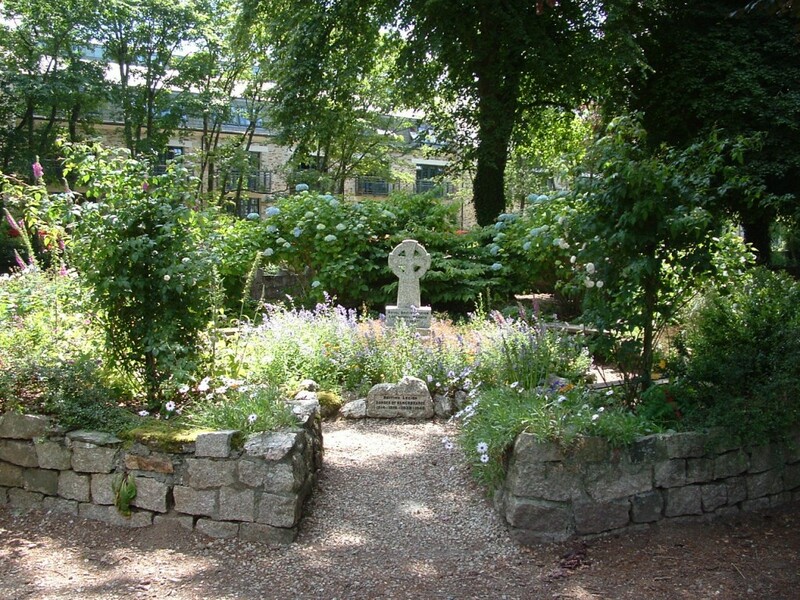 Today our tap water comes to us by more modern methods, and the water has disappeared from the fishpond and been replaced by a flower garden, but it is still the same space under the trees for adults and children to sit and enjoy many quiet and thankful moments as the residents did in 1895.